Halloween, a photo by PhylB on Flickr. Yesterday we both got to dress up as witches for Halloween. 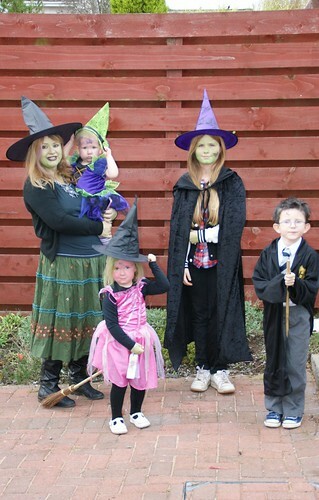 Mummy and Lots also dressed as witches while Léon was Harry Potter and Marcel was Slender man. Daddy was a very scary hunchback. We had fun at Gordy's Halloween party all dressed up. Ouch, I hurt my chin!